The South China Sea region contains potentially huge deposits of petroleum and natural gas, important shipping lanes and fishing areas, and is subject to a number of maritime territorial disputes. This edited volume analyzes the most recent development in the South China Sea dispute looking at the positions taken by China, the ASEAN countries, and the US. In recent years maritime joint development zones have emerged as an important means to overcome deadlock in relation to maritime jurisdictional claims. This book tests the applicability of joint development regime in this region and explores the prospect of joint development of resources as a way to successfully manage the conflict in the South China Sea. 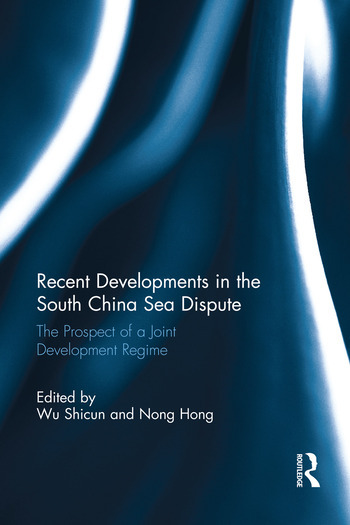 Eminent scholars in the field of South China Sea studies have contributed original chapters to the volume covering such issues as: the legal framework for joint development; how joint development might work in practice; the challenges faced by and the prospects arising from joint development; and the way forward for the region. Shicun Wu is President of the China National Institute for the South China Sea Studies, a sole national-level think-tank in China specializing in South China Sea studies. His research focuses on history and geography on the South China Sea, ocean boundary delimitation, international relations and regional security issues. Nong Hong is Assistant President at the National Institute for South China Sea Studies (NISCSS), with responsibility for the NISCSS Beijing Office.Her research takes an interdisciplinary approach to examining international relations and international law, with focus on International Relations and Comparative Politics in general; ocean governance in East Asia; law of the sea; international security, particularly non-traditional security; and international dispute settlement and conflict resolution.